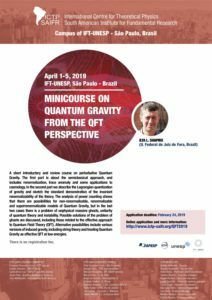 A short introductory and review course on perturbative Quantum Gravity. The first part is about the semiclassical approach, and includes renormalization, trace anomaly and some applications to cosmology. In the second part we describe the Lagrangian quantization of gravity and sketch the standard demonstration of the invariant renormalizability of the theory. The analysis of power counting shows that there are possibilities for non-renormalizable, renormalizable and superrenormalizable models of Quantum Gravity, but in the last two cases there is a problem of unphysical massive ghosts, unitarity of quantum theory and instability. Possible solutions of the problem of ghosts are discussed, including those related to the effective approach to Quantum Field Theory (QFT). Alternative possibilities include various versions of induced gravity, including string theory and treating Quantum Gravity as effective QFT at low energies. Thursday: 10:00 am to 12:00 pm and 02:00 pm to 04:00 pm. Friday: Prof. Ilya will be available in the morning for further discussion. 1) GR and its limits of applicability. Why should we quantize gravity. Semiclassical approach and higher derivatives. 2) Trace anomaly and anomaly-induced action. Applications to inflation and implications for particle physics. Effect of masses of quantum fields and possible running of cosmological and Newton constants at low energy cosmic scales. 3) Gauge-invariant renormalization of gravity. Power counting. Quantum GR vs Higher derivative QG. How we can (if so) live with ghosts? More higher derivatives and more ghosts. Superrenormalizable QG. 4) Renormalization Group (RG). For which versions of QG can RG be used? Ambiguities related to gauge fixing and parametrization of quantum field. 5) Alternative approaches. Induced gravity paradigm: from Zeldovich and Sakharov to string theory. Does induced gravity idea solve the issue of ghosts? Effective approach to QG. 1. I.L. Buchbinder, S.D. Odintsov, I.Sh., Effective Action in Quantum Gravity. (1992 – IOPP). 2. I.Sh., Class. Q. Grav. 25 (2008) 103001 (Topical review); 0801.0216. 3. I.L. Buchbinder, I.Sh. Introduction to quantum field theory with applications to quantum gravity (Oxford University Press, book in preparation, 2020). Registration: ALL participants should register. The registration will be on April 01 at the institute at 09:30 am. 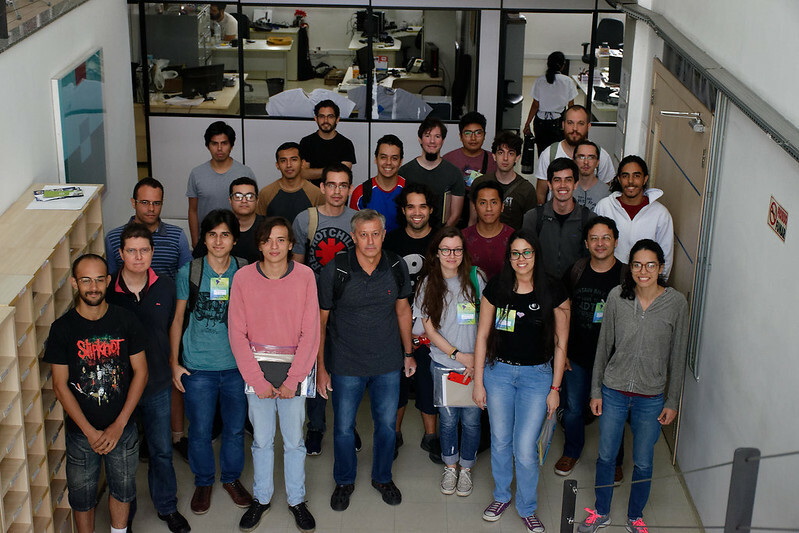 How to reach the Institute: The school will be held at ICTP South American Institute, located at IFT-UNESP, which is across the street from a major bus and subway terminal (Terminal Barra Funda). The address which is closer to the entrance of the IFT-UNESP building is R. Jornalista Aloysio Biondi, 120 – Barra Funda, São Paulo. The easiest way to reach us is by subway or bus, please find instructions here.